The problem with using glue for sticking broken pieces of an item together or when you have to affix certain items can prove to be a frustrating feat to pull off. The reason being the fact that most of the times either the glue sets too quickly or doesn’t set quick enough. There are times when you would find yourself struggling with the bottle of super glue because the glue has hardened inside it. You can say goodbye to all those issues now thanks to Bondic. 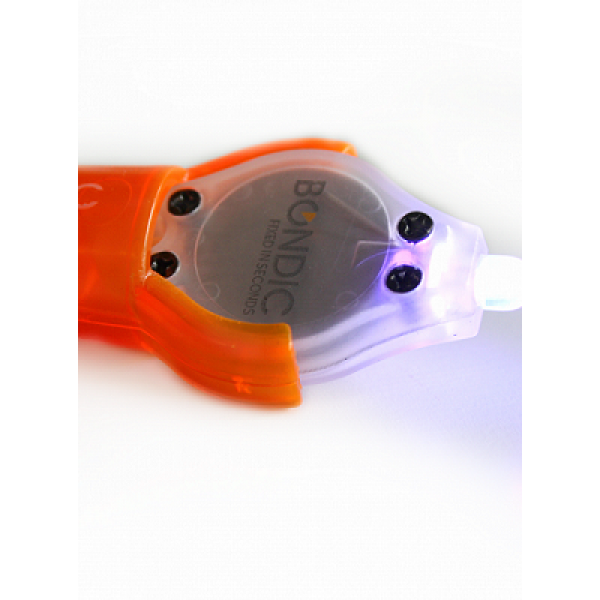 Bondic is best described as a ‘liquid plastic welder’ that is capable of sticking things together within 4 seconds once it has been exposed to the UV light that comes with it. 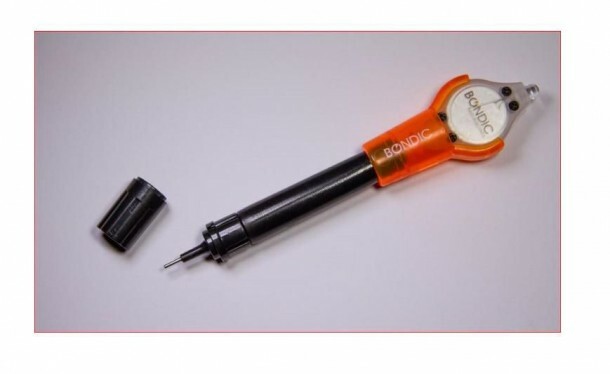 The light is located on the reusable cartridge’s end filled with the liquid plastic. The liquid is applied to the item in question via an applicator that is similar to a needle. Bondic is compatible with materials such as metal, plastic, wood or fiberglass. The liquid plastic can be worked till the users has everything perfectly set the way they wish it to be. After that, the UV light has to be applied for only four seconds during which the liquid plastic will harden. This also allows for creating layers to fill a gap followed by sanding, painting or polishing as required. A single kit contains 1 applicator, 4-gram tube of the liquid plastic and the light for $22. That seems like a good enough price for something this handy, wouldn’t you agree?